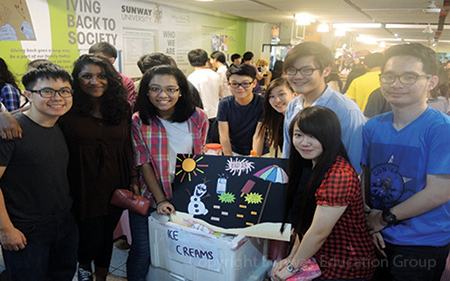 The Australian Matriculation (AUSMAT) programme at Sunway College once again managed to raise funds for several charity organisations through its annual I Care Day event. Through the sales of food, handicraft, beauty services such as nail painting and henna tattoo, and games on campus, students managed to raise a total of RM15,000. At a small ceremony, representatives from two charity organisations were on hand to receive the contributions. Rozana Hassan and Wivien Tan of the Children’s Wish Society of Malaysia and Dr Chia Chee Ming of Elshaddai Refugee Learning Centre received a mock cheque for RM3,000 each. RM5,000 will be channelled to Yayasan Chow Kit while RM3,000 will go towards setting up a mini library at Taman Permata in Dengkil, Selangor while the balance of the collection has been set aside for AUSMAT students and lecturers who plan to visit a centre catering to children with autism and other learning disabilities. The fundraising event saw the participation of all AUSMAT students where each class was assigned with a booth each to sell food or games for the day. “The objective of the AUSMAT I Care Day is to educate and raise social awareness among our students on underprivileged and deprived individuals, how they can make a difference and give back to the community and society”, said Vanitha Satchithanadan, Director of AUSMAT at Sunway College. 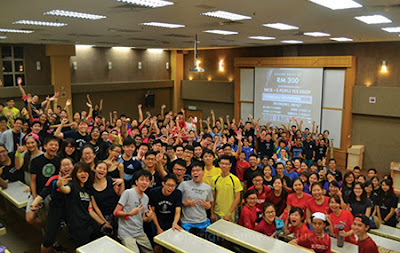 Included into I Care Day this year was the AUSMAZING Race which was organised by the AUSMAT Student Council and lecturers. Participants of the race were required to figure out clues provided and complete all challenges along a pre-determined route. Asides from helping to raise funds for I Care Day, the AUSMAZING Race was organised to create positive team culture and help students establish the role of being a leader. 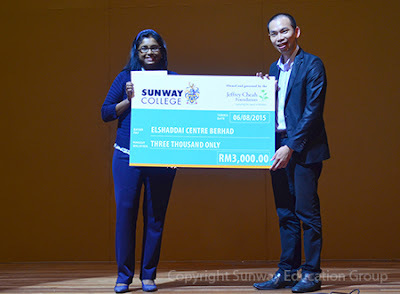 “For the AUSMAT programme at Sunway College, we aim to provide our students with a well-rounded education. It’s not just about classroom learning. 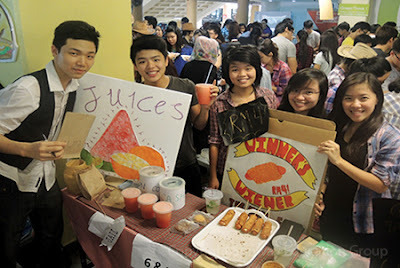 Events like I Care Day provide our students opportunities to explore the various business models and marketing techniques they learned in the classroom. At the same time they come together with their peers and lecturers to raise funds for a good cause,” Vanitha explains.